PLEGA beds are not hospital beds. We provide durable, effective, and unique products that create a seamless flow between your existing home decor and functional PLEGA homecare. Moreover, we develop products that grow with Australians of all ages who may struggle with various ailments, mobility problems, and sleep issues to build independence and confidence. The PLEGA Electric Adjustable Beds are designed to bring you the ultimate in rest, relief and support. 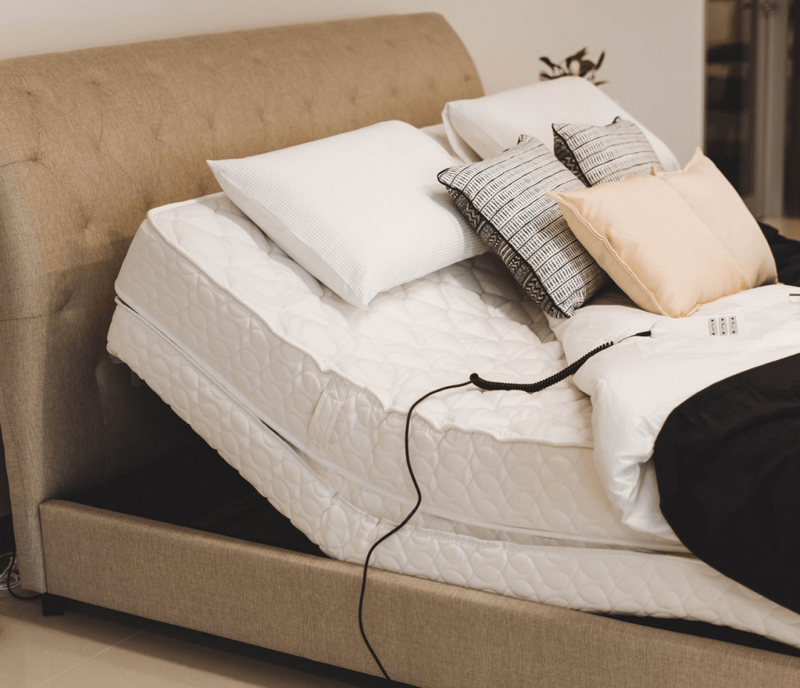 At the touch of a button, you can electrically elevate your back and legs to over 1001 different positions, making the one-third of your life that you spend in bed, much more comfortable. Whether for health, sleep or increased mobility, you will never want to sleep on anything else. We take sleep for granted, but if you don’t get a good night’s sleep you simply don’t feel good the next day. Our research shows that one out of two people who sleep on PLEGA Adjustable Beds sleep in a contour position. In this contoured position your whole body weight gets evenly supported, the pressure is taken off your lower back, circulation is increased and most importantly, you can sleep comfortably all night. The PLEGA Homecare Electric Adjustable bed is designed to provide great relief by placing you in total control of your sleeping position. The PLEGA Hi-Lo Electric Adjustable Beds provide all the benefits of our Homecare model with the added ability to vertically lift and lower the frame. The PLEGA Mattresses are specificaly designed for our Adjustable Beds. We can also upgrade your old mattress to a brand new one. 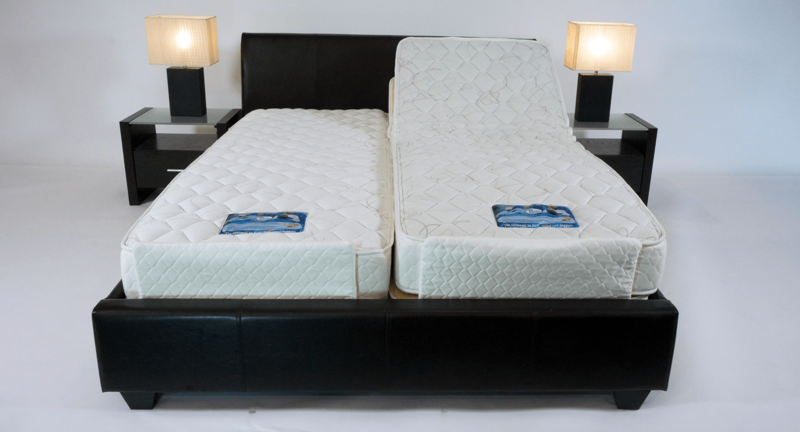 We can supply you with the right Manchester to complement your new Adjustable Bed. Different options and sizes are available. We have also developed and continue to manufacture a range of PLEGA Beds Accessories such as Self Help Poles, Massagers and others.